With each new generation of processors, Intel looks to refresh their market-leading line, adding features and improving performance in order to keep up with the ever-evolving needs of today’s computer users. While Intel’s 6th generation Skylake processor architecture has been trickling into consumer products for the last few months, we’re just now beginning to see industrial systems incorporate these new CPU options. Today we’ll take a quick look at the Nuvo-5000 line of fanless PCs from Neousys, and the new IMB-190 Mini-ITX motherboard from ASRock, which both support Intel’s new Skylake processors. Support for DDR4 RAM – Skylake features support for the newest DDR4 memory standard, enabling improved read/write speeds and overall capacity. Performance – Testing shows a ~10% increase in processing power over the previous generation. Graphics – Of particular interest to digital signage and kiosk customers, Skylake processors are said to offer a 30% increase in graphics performance over their Broadwell predecessors. Efficiency – Even with added features and upgraded performance numbers, these 6th generation Intel processors promise better energy efficiency, helping to reduce overall cost of ownership and potentially improve thermal performance in fanless installations. The first IPC systems to feature Intel Skylake processors have just made their debut on our site. 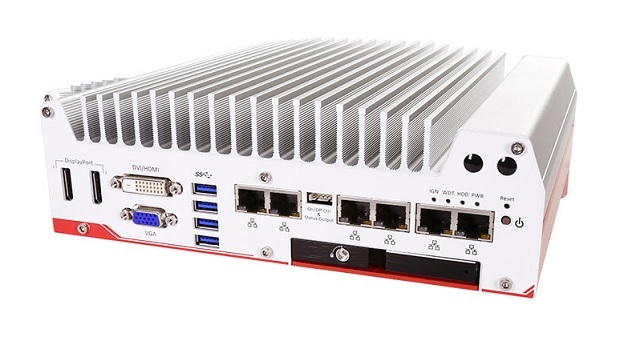 The Nuvo-5000 and Nuvo-5000LP (the LP stands for Low Profile) are high-performance, wide-temperature range, rugged systems designed for extreme computing conditions. Available with a variety of Skylake processors, from ultra-efficient Celeron’s, to powerful Core i7 CPUs, these new systems from Neousys include capacity for up to 16GB of DDR4 RAM and feature a variety of expansion and configuration options. 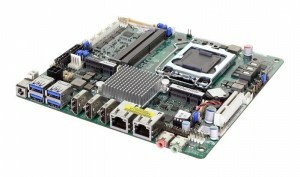 The ASRock IMB-190 is a Mini-ITX Skylake motherboard developed by ASRock, one of the world’s leading industrial motherboard manufacturers, for the varied needs of today’s IPC users. 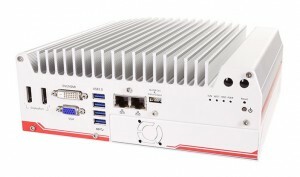 The IMB-190 takes advantage of the added graphics muscle offered by the Skylake architecture, with 3 HDMI ports as well as an analog VGA pin header support for legacy display systems. Additional video expansion is also available via a PCIe x4 slot, making the board an ideal choice for digital signage and other multimedia applications. We expect to see additional Skylake products launch in the coming months, so make sure to subscribe to The I/O Hub to stay up to date on the latest releases.